There are a lot of times you may find you are locked out of your car. Your car is one of the most important things you will ever own in your life. It gets you from point A to point B in a timely and efficient manner. A car is something that you rely on quite heavily to help you out. Whether you need to get to work or get back home, it’s there to take you. Sometimes, unfortunately, mishaps do happen. That includes losing your car key or having it stolen. There is nothing more frustrating than misplacing the only object that will make your car work. Luckily, there are ways around that unfortunate event. When you’re locked out of your car as a result of stolen or broken car keys, SlimJim.Me offers on-site car key replacement. We will also get your car doors unlocked promptly and professionally. Our company, 858 Locksmith, is the best when it comes to 24-hour, San Diego, CA service for car lockouts. It’s not hard to see why. So far, we’ve had an impressive 5+ years of experience and we’re not going anywhere. This means our courteous and professional staff is fully trained to handle car lockouts in San Diego and surrounding areas. Our service is fast and friendly and all of our mobile locksmiths endeavor to provide a response time of 30 minutes or less. Aside from fast response times, 858 Locksmith is full of a team of mobile locksmiths that are ready and willing to come to wherever you are to solve your car lockouts in San Diego and surrounding areas. It doesn’t matter the time either! Our automotive locksmiths understand that you can lose your keys at any time in the day. This is why we provide a 24/7 locksmith service for your convenience. You never have to worry if you are in good hands because 858 Locksmith is fully licensed, bonded, and insured. Don’t hesitate to call us because we won’t hesitate to come to you. You won’t even have time to panic before we are on our way out to you, and already starting to cut new car keys! As soon as that’s done you’ll be back on your feet, or more correctly you’ll be back on four wheels! You can pay right away too, and with ease. You’ll never have to worry about being scammed out of large amounts of money. Our upfront pricing policy will not only make sure that you are getting the best deals, but also make sure that you know what you will be paying for before we start any services so you can plan accordingly. Our prices can’t be beat either! If you find yourself locked out of the car or if you left the car keys in the trunk, then call us. A member of our team will send out a professional auto locksmith that is trained to service car lockouts for all vehicle makes and models, both foreign and domestic. Our staff works to stay up-to-date on varying car models so that we are prepared to help you. Once there, a member of our team will unlock your car without doing any damage. If your key was stolen, you don’t have to worry either! We can cut you a new one, right then and there. Since our mobile locksmiths travel in fully equipped service vans, we have the ability to make new car keys on-site. We will also make sure all your bases are covered. Our team will ensure that the new ignition key matches the one to the car door and the trunk. We understand how annoying and inconvenient it can be carrying around different sets of keys. 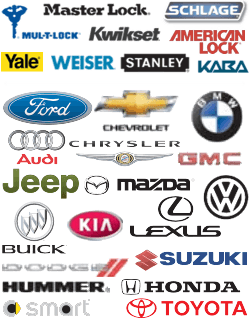 We are the best of the best when it comes to providing nationwide car lockout service. Not many other automotive locksmiths provide the constant care that we do. We understand that, sometimes, people lose their car keys and may be stranded in a strange place. If this ever happens to you, don’t hesitate to call 858 Locksmith in San Diego for professional, 24/7 car lockout service. Along with providing complete and nationwide emergency locksmith service, we also provide upfront pricing before beginning any work so you know what to expect. Our service never wavers no matter what time of day it is. This is because we understand that it’s always important to be able to access your car and not be stranded in the middle of nowhere. Life doesn’t stop, and neither should you just because of car lockouts. Losing your car keys car be just a minor inconvenience instead of a major catastrophe thanks to the services we provide. We will get to you quickly and have a new key made even quicker! Our company is dependable, friendly, and has the reputation to back up all the claims that we make. Whenever you find yourself locked out of the car or trunk, make the call to the experts that you trust at 858 Locksmith. Gone are the days of panic and waiting for hours for a locksmith or a family member to bring a spare if you’re lucky enough to have one. With 858, you won’t be locked out of your car for long. 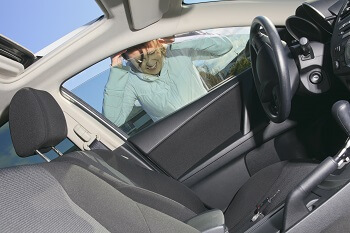 Car Lockouts https://858locksmith.com/car-lockouts/ 3.9/5 based upon 19 reviews.